I just ran a count on PowerPoint files but the notes were not counted. What do I have to do? 1. 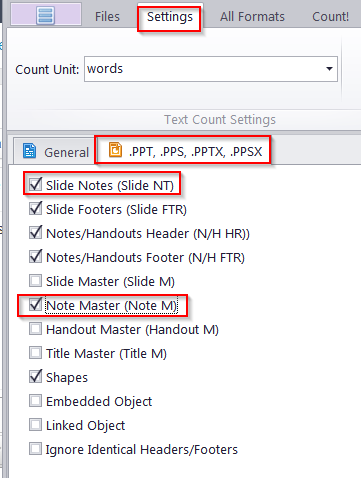 After adding the files, Open settings for PPT files from the Settings menu. 2. Tick the check boxes 'Slide notes' and 'Note Master'.